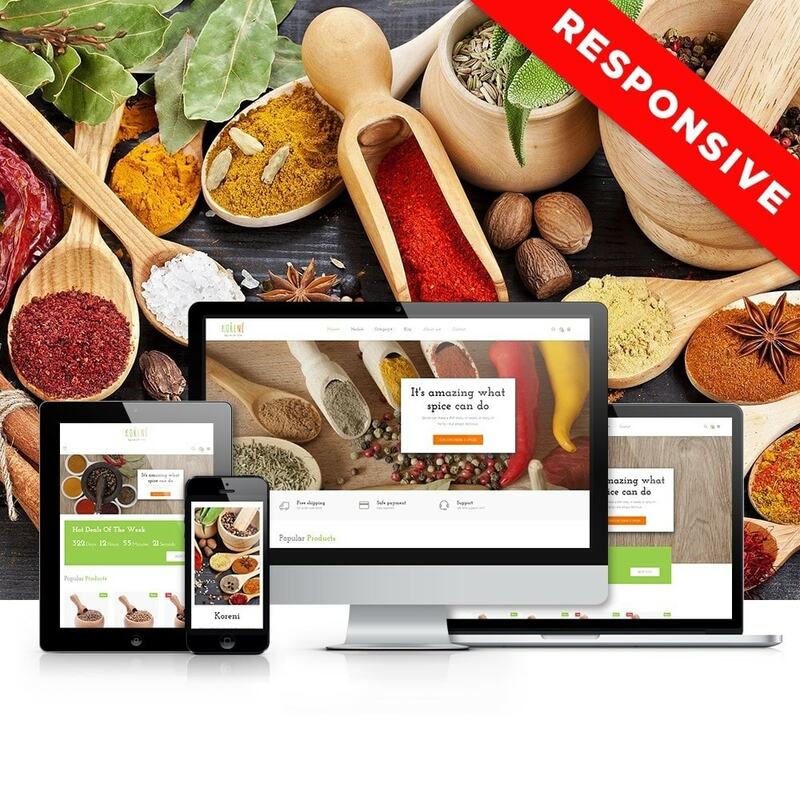 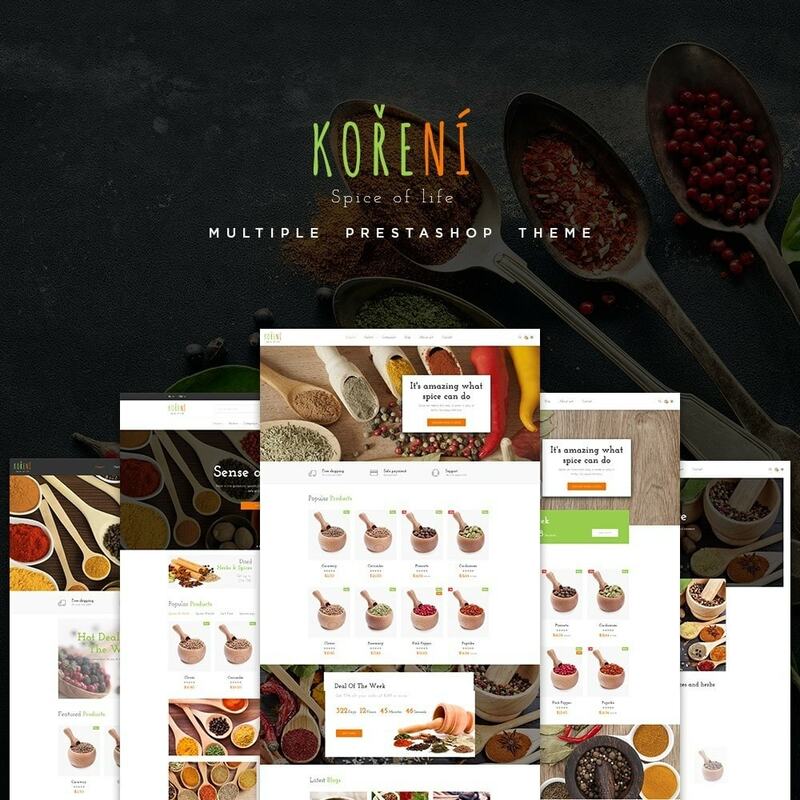 Leo Koreni is a totally Responsive Prestashop themes. 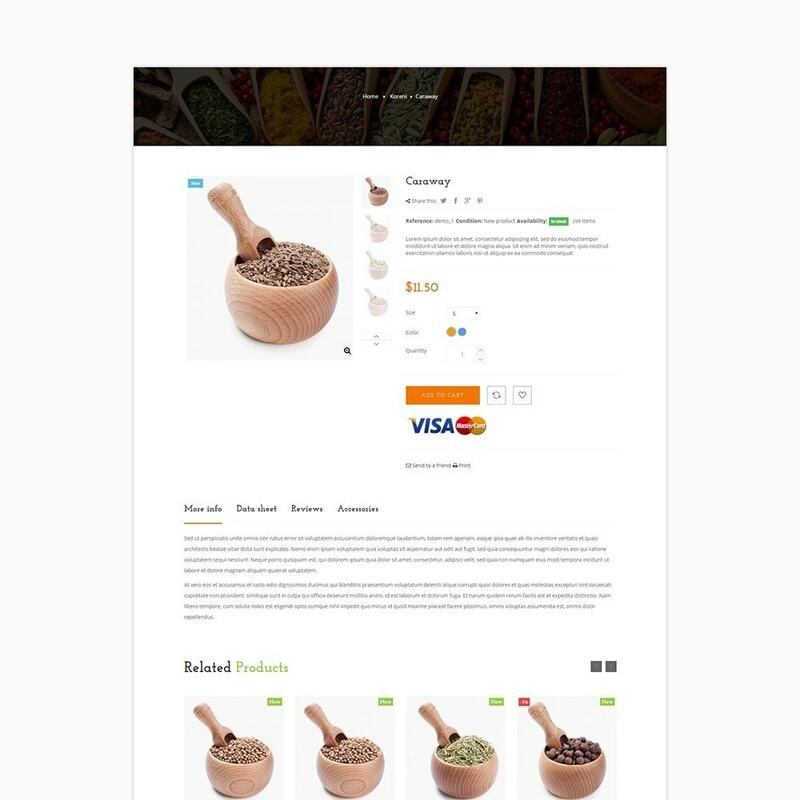 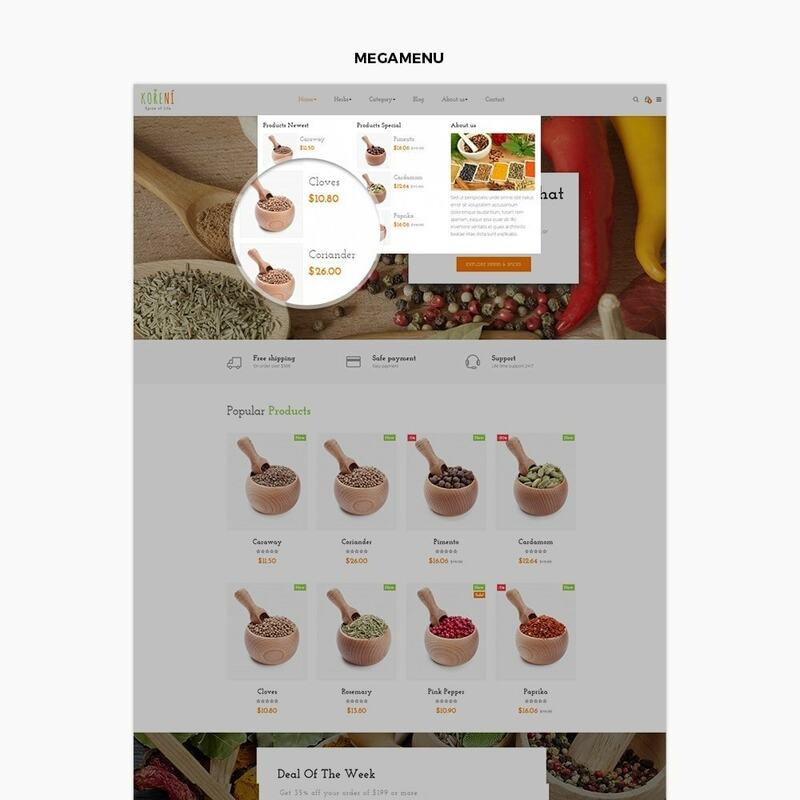 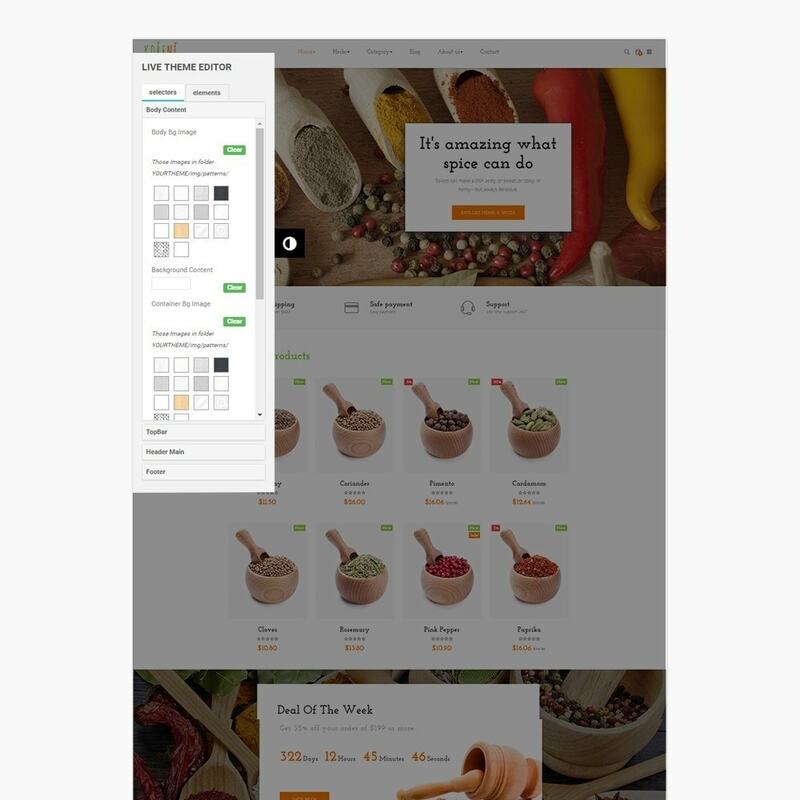 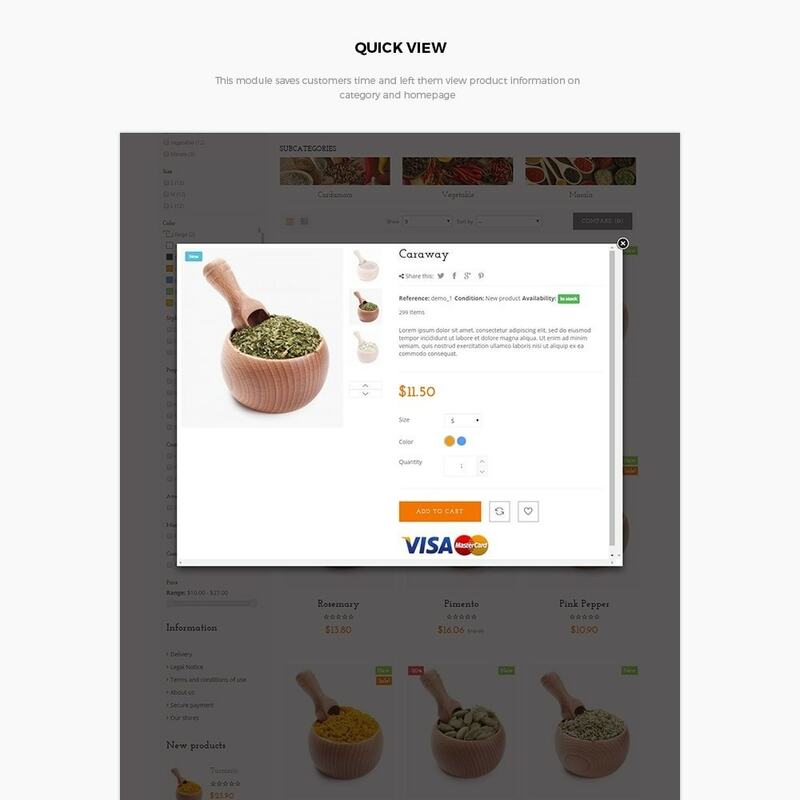 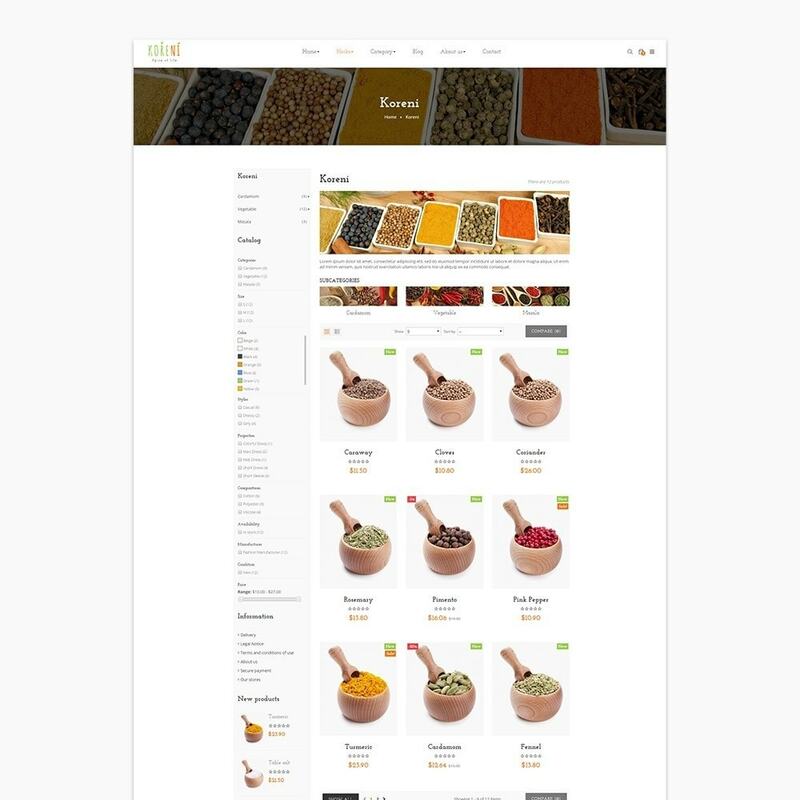 It was designed for any e-commerce stores and diversified commodities as Spices store, Kitchenware store, Restaurant and multistores. 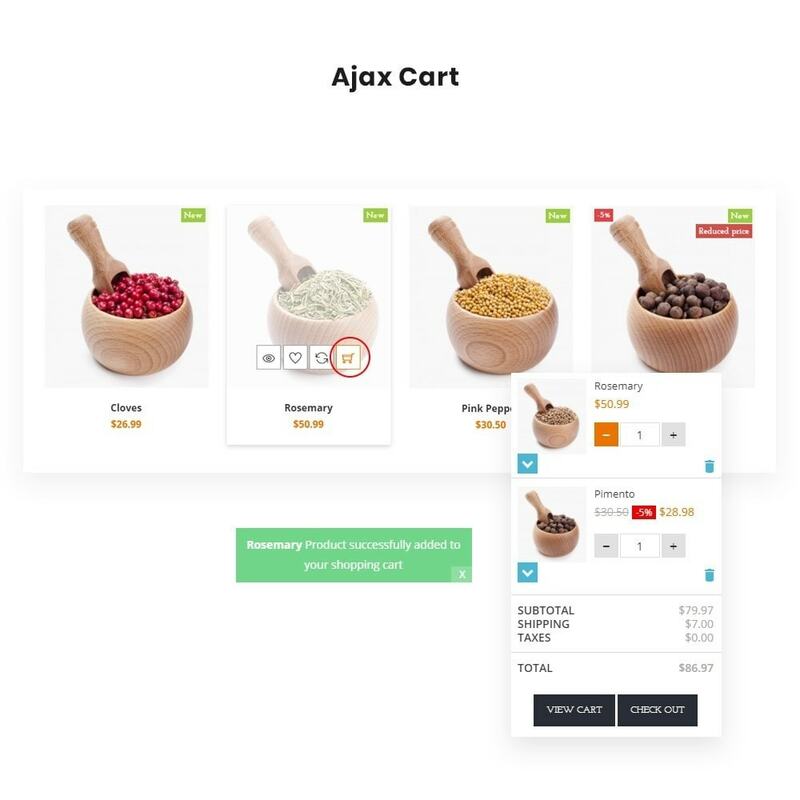 Leo Feature is updated with the newest module features which are Default cart in Drop down style and Fly cart in Fly bottom up style, which brings customer shopping on site the most satisfied experience.